Mimi and Mademoiselle receive lots of questions this time of year about sorority rush. Oh yes, that momentous right of college passage many women go through in hopes of finding that perfect group of friends. 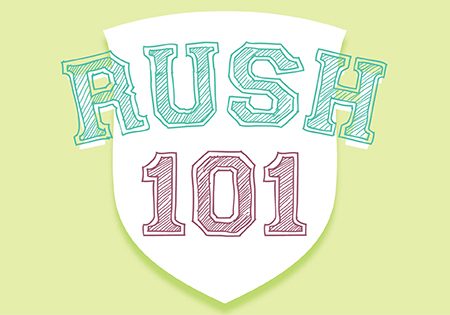 Well, the road to recruitment is not clearly marked, so Mimi and Mademoiselle sifted through some of our questions to present you with our version of Rush 101. Over the next few weeks we will feature questions from potential new members (“PNMs”) and hope our answers allay some of your rush jitters. 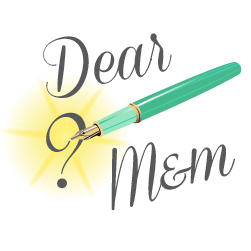 Q: I’m getting ready for sorority recruitment and recently went to a local panhellenic meeting where all the sororities were introduced. There was a mini fashion show and a dos and don’ts of rush presentation. There were sorority and panhellenic members there and I was completely intimidated by the process, confused at the standards and fashion and scared of the thought of basically being interviewed by dozens of people every day for a week! I’m really interested in rush, but I don’t know what to think or how to prepare or what to say. Do you have any advice on what this panicked PNM can expect? Yes, going through rush is a good thing. Whether you decide to pledge or not, it can be a very good learning experience. For some, rushing a sorority is of enormous social importance and for others it is a way to compliment their college experience, to make friends and feel supported at a vulnerable time in your life. Think of it like interviewing for a job, but instead you are being interviewed to be part of a group. Mimi and Mademoiselle have our top 5 dos and don’ts for rush to help elevate your confidence. Make sure you have done all your research and paperwork. The rush process is all about making an impression and your paperwork is just the beginning. The paperwork requirements vary, be sure to check with your panhellenic office and start this process with local alumnae early. Rush is a business and just like a job interview you will need a resume stressing community service, leadership, academics and teamwork, letters of recommendation from alumnae of each chapter, preferably on the campus in question, and reference letters along with a professional photograph. Rush packets are all the rage and can be ordered at many custom stationary stores, like Swoozies and online resources such as the Preppy Ladybug. Know your institution’s recruitment dress requirements ahead of time and get your wardrobe together well in advance of rush. Organize every outfit from head to toe, including permitted accessories, by each day of parties so you are not making last minute wardrobe changes and you are perfectly put together and confident to start each day. First impressions matter, especially when others have to make a snap judgment. Dress like you are meeting your grandparents for a lunch or church. If it’s too skimpy, too short, too tight or too out there, it won’t impress, but instead will be how you are infamously remembered. Make sure you know your strengths and weaknesses and know how to communicate those in a friendly, straightforward and conversational way. Don’t try too hard, have good eye contact, be a good listener and just make conversation as you normally would in any social situation where you are meeting people for the first time. Make sure you do not discuss the three B’s: Boys, Booze and Bitching. If nerves get the best of you and you begin to ramble about taboo topics, just redirect your conversation to the lighter side of things and you should be safe. Be polite, courteous and memorable at every house you visit whether it is a potential fit for you or not. It’s a cardinal PNM mistake to come into a house with preconceived ideas, crossed arms and a bad attitude. Remember, rush is a mutual selection process and this is You, On View. Members and alumnae communicate not only among members of their own house, but other houses. In rush, a PNM cannot afford to get the reputation of being insolent or rude to anyone. Everyone can be nice and polite for a few minutes and if you can’t, then maybe you should rethink the sisterhood you seek.